I know it has been a while since my last video, I havent forgotten you, just been busy! I grabbed a few things and just wanted to share it with my viewers! 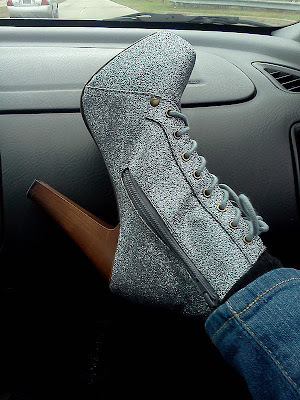 I already mentioned my boots, or should I say my Jeffrey Campbell Lookalikes from Charlotte Russe, but since I mentioned them in my video, I will post them again. 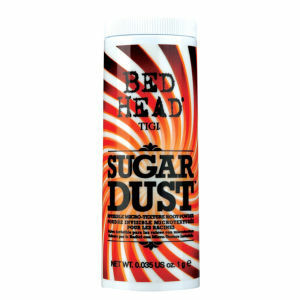 Bed Head by TIGI Products! I give my review on this in the video, but here are some more details. This is an invisible (more like tiny white flakes) powder that you apply to your roots and it helps to soak up the oils in your hair and scalp and helps to give your hair that extra boost! I am in love with it! This can be applied to wet or dry hair for extra body and a more tousled look, But for better results, apply to dry hair and use a blow dryer to help give hair an edgier look. It smells really good too, like sugar- I almost wanted to eat it...but of course I wont....ewwwww. but you get where I am going! I also picked up some other things-youll just have to watch to see what they are!